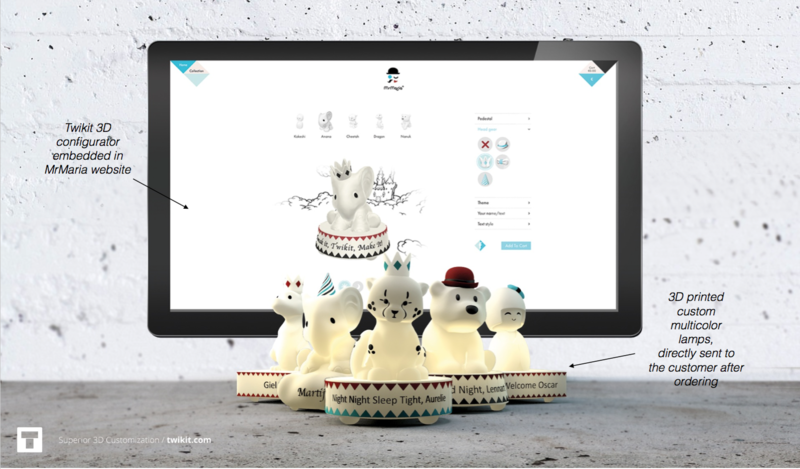 Twikit is a dynamic and innovative Antwerp start-up that is a pioneer in the customization of digital produced and 3D printed products. The software of Twikit enables brands and retailers to offer 3D customization to their clients in a drastically improved way. It allows consumers to create personalised versions of designs and products, adapted to their personal taste or needs, via different channels with a stunning 3D interface.Twikit offers a total solution for companies: from product design, via system integration and through customization, to print services. The Twikit solution and 3D printing seamlessly match with the increased customer demand for more options, faster product availability and more customization. This go-to-market acceleration is perfectly timed, the consensus is very clear that 3D printing is at a tipping point, about to go mainstream ‘in a big way’. In 2015 Buysse & Partners invested in Twikit by increasing the share capital; thus allowing Twikit to realise its ambition to fully capture the huge underlying potential by an accelerated roll-out, necessary to preserve Twikit’s first-mover advantage. Founded in 2013, Twikit already realised sales with reference customers such as Walmart, Auchan, Philips, Heart to Get and Veritas.